We are a state of the art chiropractic and sports medicine facility. 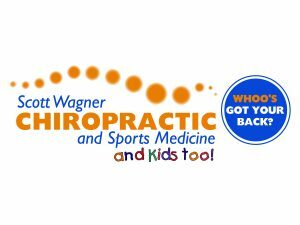 Our doctors (Dr. Wagner, Dr. Sterling, and Dr. Sisak) provide chiropractic adjustments and rehabilitation modalities to remove pain, restore mobility, and improve quality of life faster! Recently we introduced two Altered Gravity Treadmills to the clinic. The Altered G is integrated within our preventative chiropractic model to rehabilitate lower body injuries including post surgery, improve athletic performance by preventing injury, and aides in recovery. Your first visit to our office will include a full consultation with the doctor, examination (x-rays, if needed) and a report of findings for only a $20 donations towards the Service Dogs of Virginia Foundation! Give us a call to schedule your initial appointment today! New patients accepted M-F. See website to make an on-line appt. or call the office to schedule an appointment at your convenience.